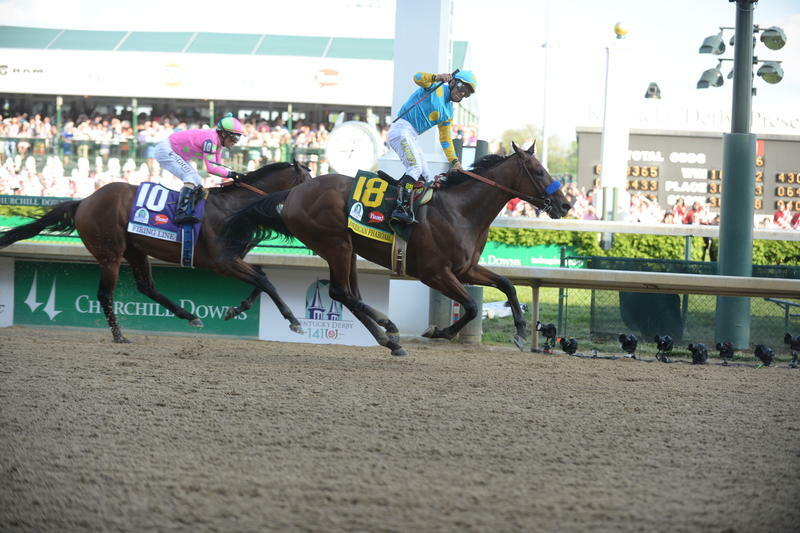 American Pharoah, the twelfth Triple Crown winner in history, was the first Triple Crown winner since Affirmed in 1978. 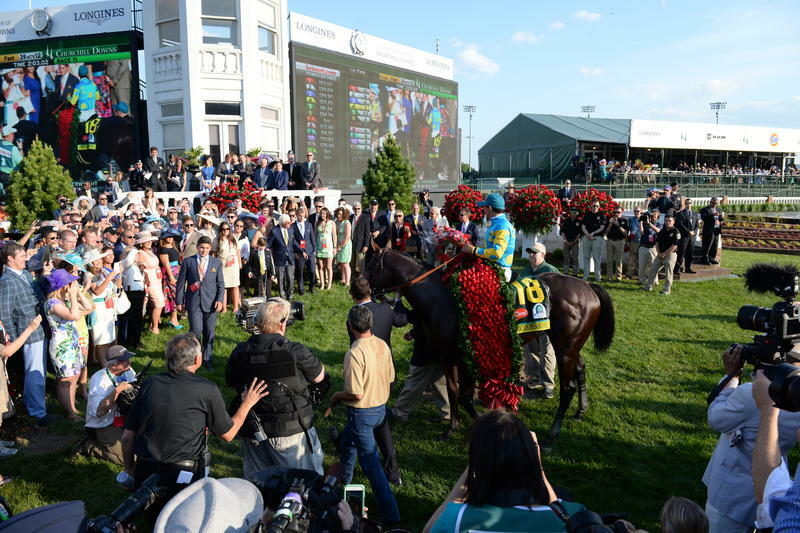 Breaking a 37 year drought between Triple Crown wins, American Pharoah is described as having a smooth and distinctive long stride as well as having a distinctive persona for such a young racehorse –a gentle demeanor, a fondness for people, and a very special relationship with a grey pony named Smokey, who traveled to every race along American Pharoah’s side. 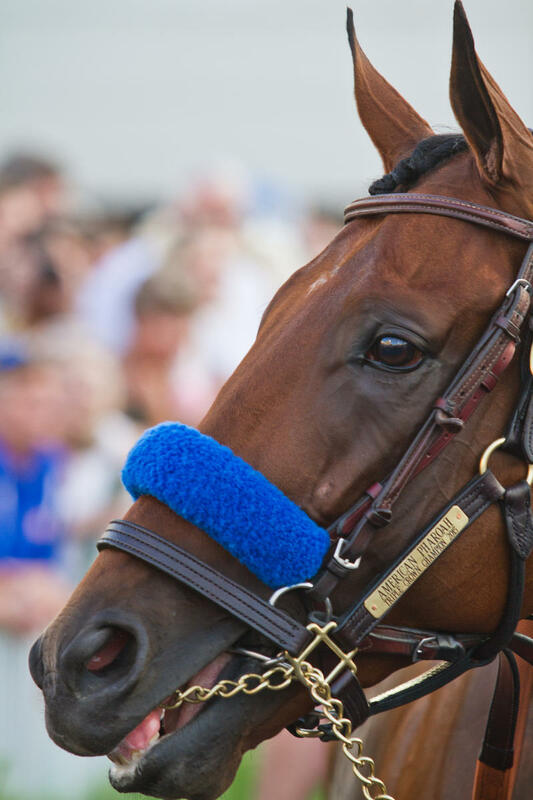 Even though American Pharoah performed poorly in his racing debut in August 2014, he became undefeated from his second race start through the Triple Crown race series, winning the Grade 1 Del Mar Futurity, the FrontRunner Stakes, the Arkansas Derby, and, of course, the Kentucky Derby, the Preakness Stakes, and the Belmont Stakes in just a period of 5 weeks. 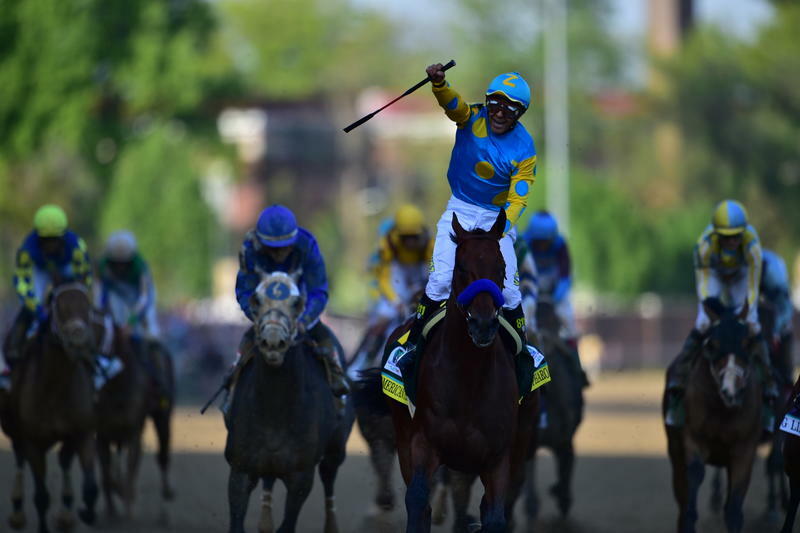 His victory in the Kentucky Derby was by just one length, his win in the very muddy Preakness Stakes was by seven lengths, and his triumph in the Belmont Stakes was wire-to-wire, from start to finish. 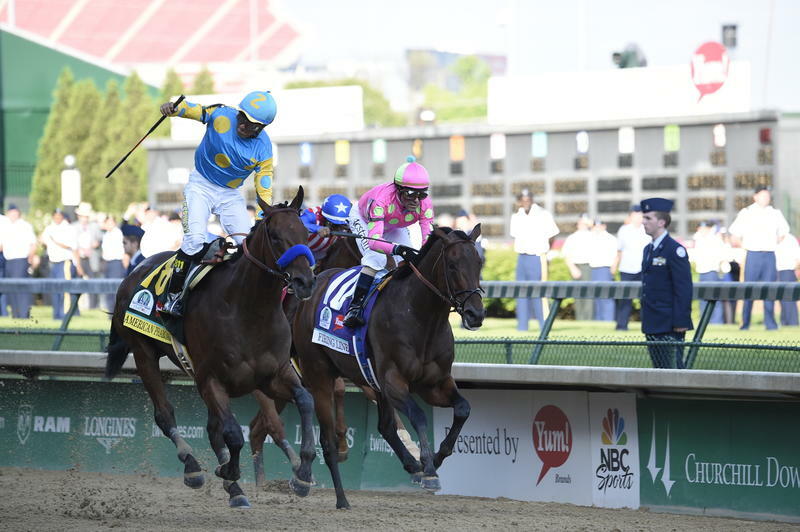 American Pharoah’s Belmont performance was the second fastest recorded race time (second to Secretariat), and in the final quarter-mile of his Belmont race American Pharoah was actually faster than Secretariat. 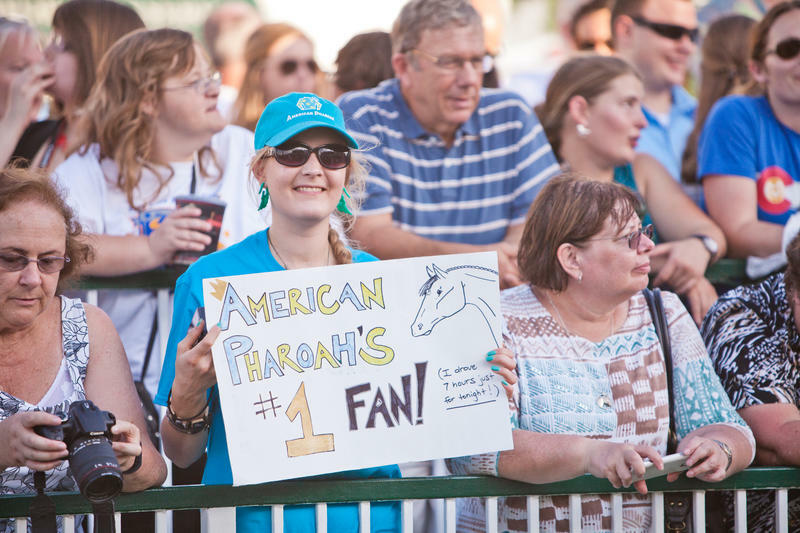 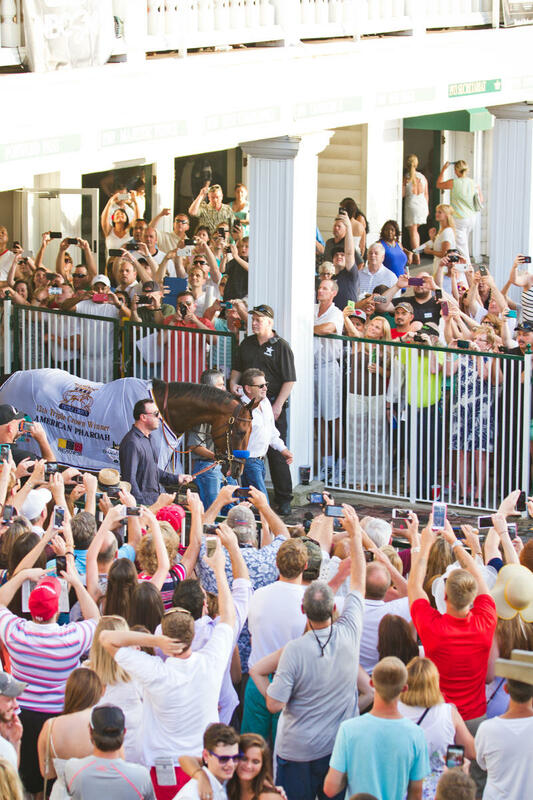 Race fans and horse lovers from around the world rejoiced American Pharoah’s success. 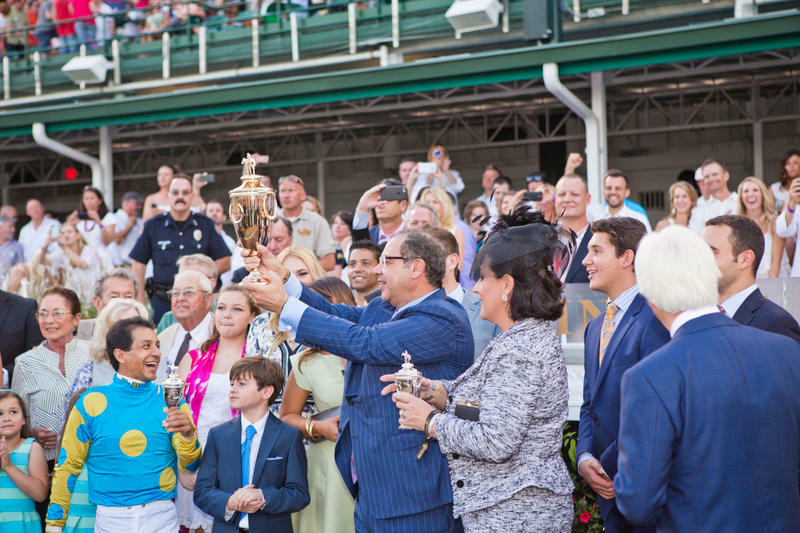 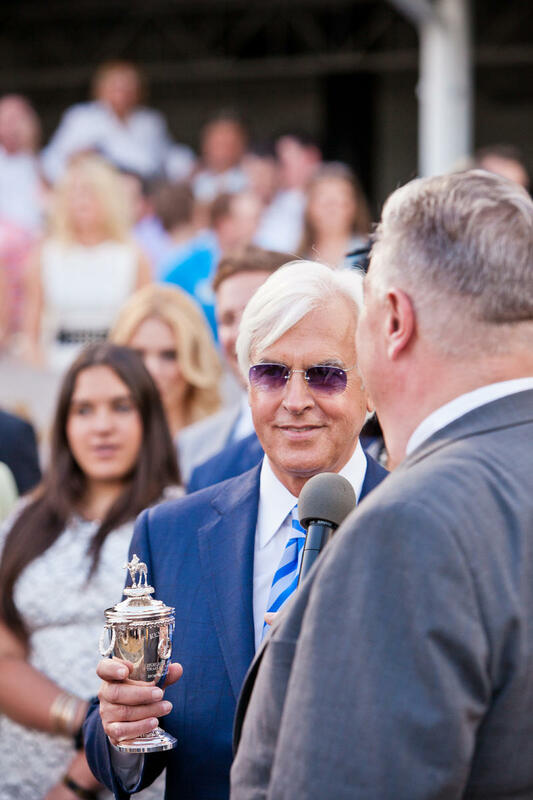 Following his Triple Crown achievement he returned to Churchill Downs where nearly 30,000 cheering fans watched American Pharoah while he paraded the track and while his connections – owner Zayat Stables, trainer Bob Baffert, and jockey Victor Espinoza – were awarded their keepsake Kentucky Derby and Triple Crown trophies. 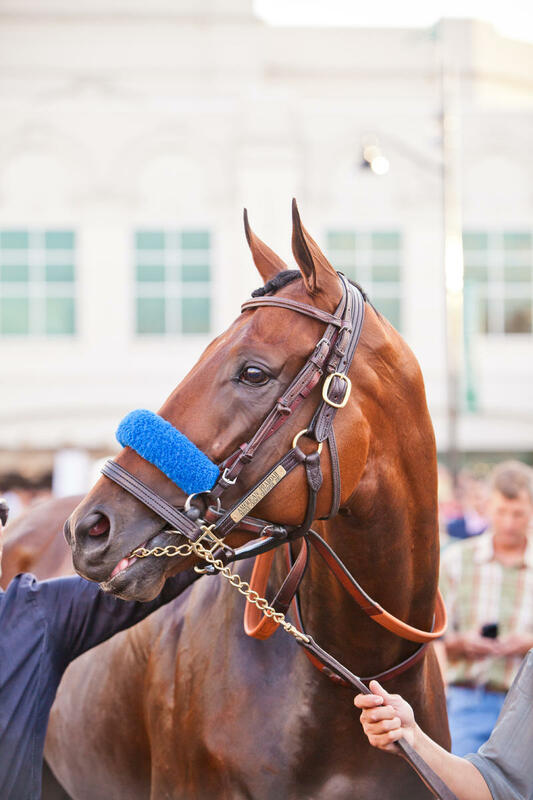 Capturing the hearts of many, American Pharoah made it on the cover of Sports Illustrated and was pictured for the fashion, beauty and celebrity magazine, Vogue.